Delta Air Lines has revealed plans to trial fingerprint recognition technology at various stages of the airport journey. During Phase 1 of the project, which is already under way, Delta SkyMiles Members enrolled in CLEAR and departing from Ronald Reagan Washington National Airport can use their fingerprints as proof of identity at the Delta Sky Club. This removes the need to present a boarding pass and identification document. 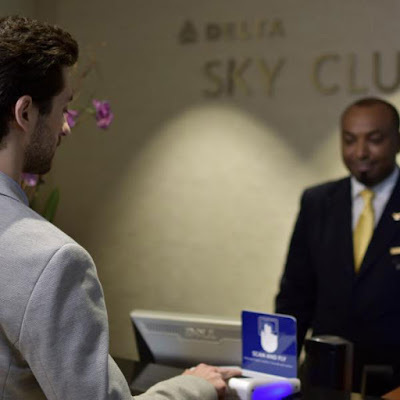 Phase 2 of the project will allow Delta SkyMiles Members to use their fingerprints as ID to check a bag, check-in at the Delta Sky Club and then board their flight. The launch of this trial follows a recent announcement that biometric bag drop is being trialled by Delta at Minneapolis-St. Paul International Airport. During the pilot, Delta customers with a SkyMiles number and who are also enrolled in CLEAR are eligible to make use of the biometric-enabled airport experience. CLEAR will capture and use both biometric and SkyMiles information to identify customers at bag drop, lounge entry and boarding. Elsewhere in the United States, JetBlue has announced that it has partnered with U.S. CBP and SITA to trial biometric self-boarding at Boston’s Logan International Airport. 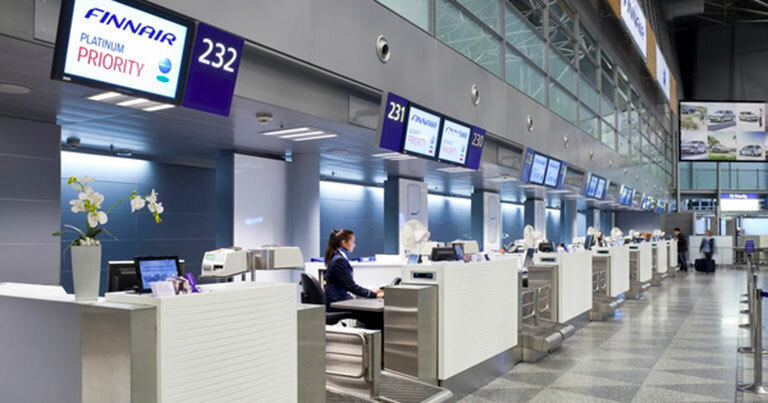 Finnair and Finavia are testing the use of facial recognition technology during the check-in process for Finnair flights at Helsinki Airport. The two parties, together with Futurice, are trialling the technology from 2 May until 23 May. Finnair has invited a group of 1,000 frequent flyers to take part in the test. Finnair customers taking part in the test will use a test application to send an image of their face to the system. When checking in for their flights at the airport, customers will use a designated check-in desk, which is equipped with facial recognition technology. A customer service agent will then check that the image captured at the point of check-in matches the one provided via the application. “We want to make air travel flow even smoother and be involved in further developing the customer experience,” explained Finavia’s Heikki Koski, Vice President of Helsinki Airport. “Facial recognition is part of the larger megatrend of biometric recognition, and it will enable “hands in the pockets” travelling, where you no longer need any travel documents.